With life finally settling down a bit, I thought I would slip in a little post Christmas bragging. I shopped handmade this year a bit more and found quite a few wonderful gifts. These earrings were made by a super talented and extremely fun artist on etsy. My daughter has had a hard time making herself take these earrings off…. wonder if she is afraid I will take them? I gave her an idea of what I wanted, pretty vague to be honest, and she jumped right into my brain and made the perfect pair. She has two shops on Etsy filled with the most beautiful items, so be prepared to drool away! Next, I went on a search for a small funky spoon rest for my Mom. That is exactly what I found! I purchased this fun rest and my Mom LOVES it! 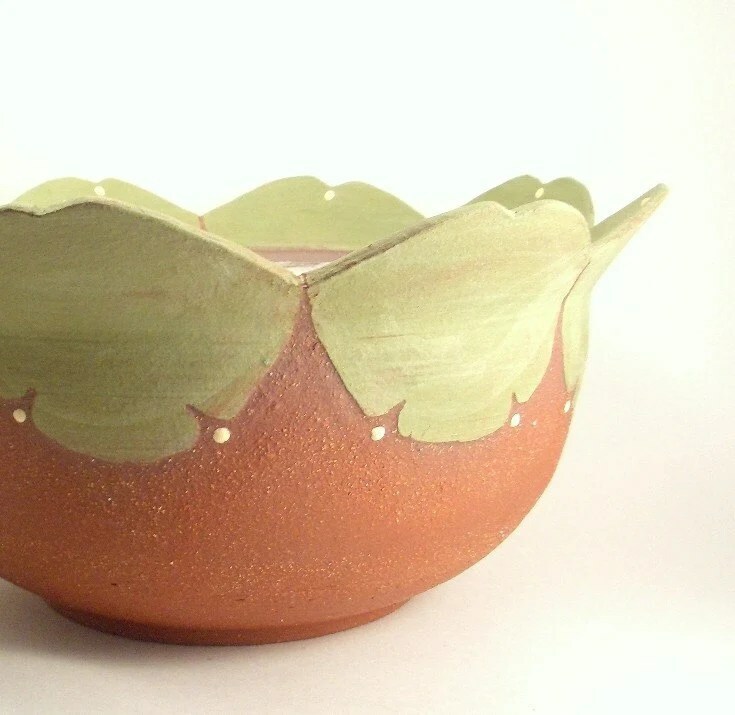 This seller has some fun and funky pottery pieces, so be sure to pop into her shop too. And nowwww, a favorite gift that my husband and I recieved….. a puzzle with our dog’s face. I believe these puzzles are handcut and they are amazing. The carpenters and woodworkers in the family (and we have many!) were all amazed at the intricate cutting of this puzzle. It was fun to put together, and a great quality gift that will last forever. Sorry I don’t have a better picture, but we took him apart for the next time. The best thing about shopping handmade is the quality of the gift and the quality of the customer service. Not only can you get an item custom made to your specifications, but you can get answers in a heartbeat to any questions, speedy shipping and one of a kind gifts. This evening I posted a few bags on etsy.com and as usual I got sidetracked by all of the beautiful items handcrafted by the many talented artist on etsy. 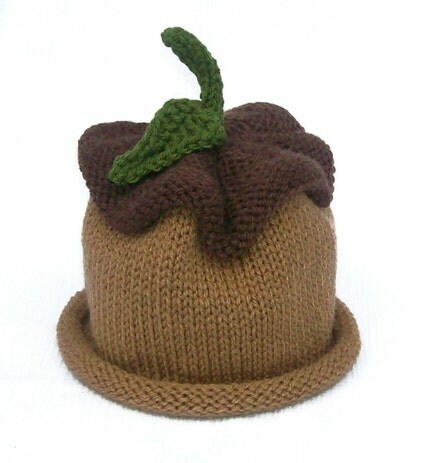 First, look at this hat, can you imagine a little one tucked up under the acorn? I sure can! This bowl caught my eye right away. I can see it on display all year, not just in the fall. 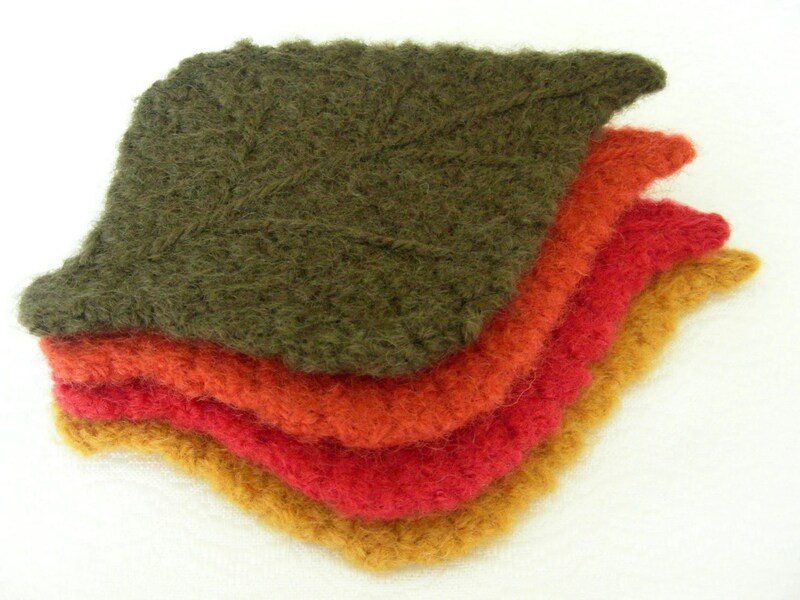 And finally, these fall leaf coasters. I am still amazed at the talent of these people.